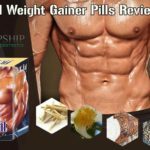 How To Sell Private Label Health Supplements On Amazon eBay? Herbal supplements are in demand and provide alternate treatment to various diseases, disorders and beauty issues. These are non-prescriptive and are allowed to be sold without medical prescription in almost all the countries. To sell private label health supplements can be good option for earning decent profits and starting your own series of herbal supplements and products. Private label selling is new concept which is gaining popularity due to increasing reach of internet and also some amazing advantages over traditional style of business. In private label, product is manufactured or produced by different company and it is sold under brand name of another company. The company giving the product its brand name is owner of the product or co-owner in some cases. Private label product provides high profit margins and is easy to sell as it fulfills exact requirements of the buyer. 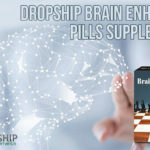 Private label health supplements provide inexpensive ways to get rid of health problems and also effective protection from diseases inculcating due to high stress and busy lifestyle of modern times. How To Sell Private Label Health Supplements On Amazon or eBay? 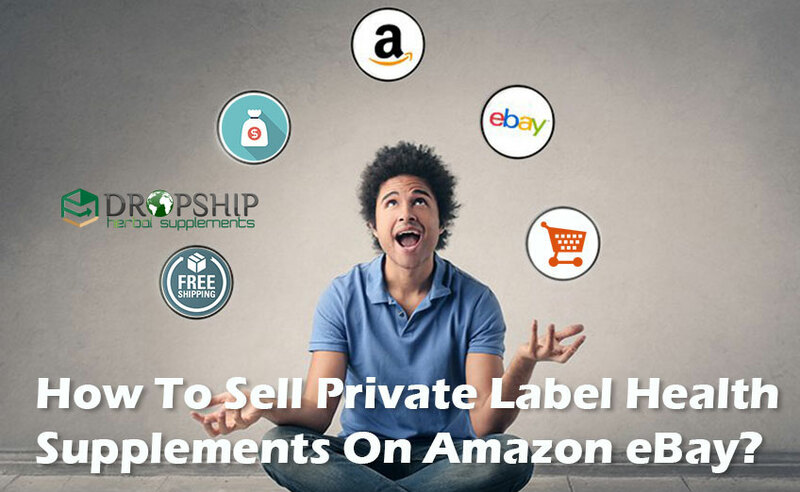 To sell private label health supplements on Amazon, eBay or other e-commerce websites is better option which is safer, low-risk, low-investment and provides higher profits. There are few steps which one needs to take before beginning private label selling over e-commerce websites. You can go through following list and start your own brand of products of herbal health supplements. Selection of product is of prime importance. Your product shall have a mass appeal. Health supplements dealing with general health, improving fitness and providing safe solutions to commonly found health issues like high sugar, thyroid problems etc. have mass appeal as almost everyone needs support for one or the other problem. Make sure that your selection shall not be manipulated by temporary demands and changes in the market. For e.g. closure of showroom of any big brand can create hike in demand for products temporarily till another showroom opens, such instances shall not be driving factors for you to select a product or series of products. Select products looking at its viability in long run and mass appeal to make things easier for you. Get associated with quality vendor. The company which is going to manufacture your product is going to be vital for success of your venture. So make sure that you put your trust in right people. They should be capable and skillful and also have zeal for long run, establishing a private label product may take some time, your vendor should be flexible with his needs and expectation and shall be ready to cooperate to make it a success. The production should be of good quality and provide what it commits. Herbal supplements need to be safe and free of side effects, the vendor shall make sure that he is delivering flawless products which are safe for people. Get the agreements done and pen every detail of your understanding in the form of legally binding document so that every party plays its role honestly and with sincerity. Study your competition very well. Research and survey to find out what sort of competition you would be facing in the market and how you can win it. If you find ways to win over your competition your product is a go otherwise make necessary changes. Talking about competition it is the price which comes first to mind, make sure that your prices are lesser than completion but do not forget to earn profits, you may have hidden costs or at times even dead stock, to withstand these losses you need something in your pocket. People often reduce or wipe-off their profit margins so that their product can gain space in the market. This strategy may work few times but brings you in high risk zone. Also analyse that whether customers would solely looking at the price of the product or they are keener in getting multiple benefits from one product. All these analysis are part of study which you shall conduct about your competition. How to Increase Sales of Private Label Products? 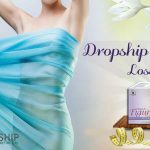 To sell private label herbal products on eBay, Amazon or other websites get good images of the product and design an impressive content which contains keywords and explain benefits of the product in very convincing manner. Create an ID or page over these sites and list your products. Selling on Amazon or eBay saves you lot of money and provide you reach all over the world. You can go beyond boundaries and address people without spending any extra money. While working with these sites you also get freedom of working at hours of your choice. If you get associated with Amazon FBA it further makes your working smooth. FBA programme of Amazon saves you from time-consuming jobs like picking, packing and dispatching products. All you need to do is just keep parcel ready and Amazon will take care of the rest. This allows you to work without staff which reduces your expenses and increase profits. Amazon charges a nominal percentage of profit for providing these services. Your search for a genuine private label manufacturer and supplier of health supplements can end with our private label service. We at Ayush Remedies manufacture an array of premium quality natural health supplements and Ayurvedic products at a very reasonable cost. Please send us your business query specifying health segment in which you want to start your business.